On July 4, 2017 at approximately 12:50 p.m., the Target store located in the 16700 block of Coit Road was robbed. The suspect took property from the store and loss prevention employees attempted to stop him. The suspect pulled out a Taser weapon and threatened employees. No employees were injured during the commission of this offense. The suspect is described as a White male, 6’0”, 200 lbs., brown hair, goatee facial hair, black hat, blue t-shirt, khaki cargo shorts, with black and white converse tennis shoes. 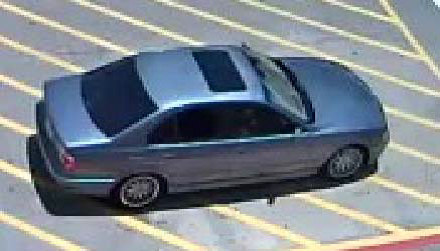 The suspect drove from the store in an older model blue 4-door BMW. Anyone that recognizes this suspect, vehicle or has information on this offense is asked to call Detective Woodburn at (214) 671-3666. If you wish to remain anonymous you may call Crime Stoppers at (214) 373-TIPS (8477).